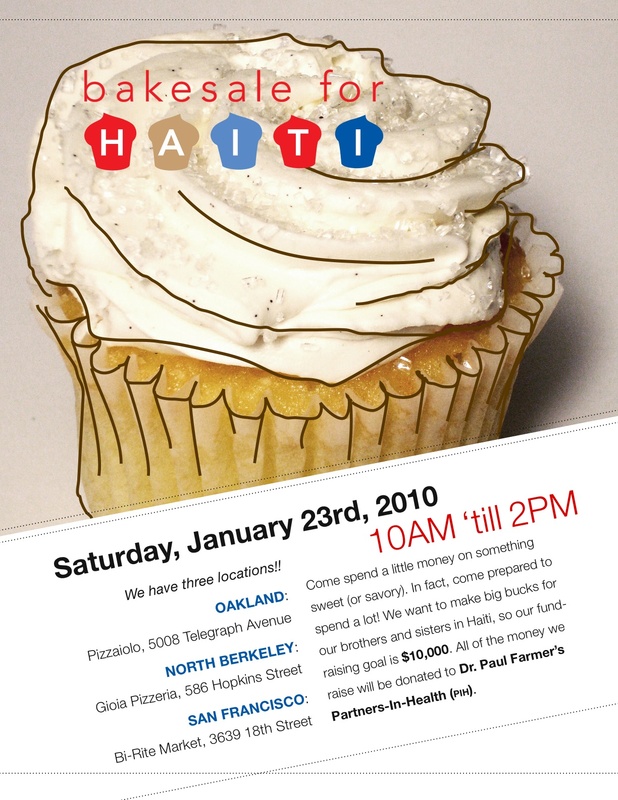 This entry was posted in travel and tagged haiti bake sale. Bookmark the permalink. As Bugs Bunny once said, “Bon Voy-A-Gee! !” Be safe, learn lots, have fun, come home. Hiya Novella, Kenya sounds fun! I wonder what the local goats & goatkeepers are like. It’s going to be a long 2 weeks waiting to hear about your trip. I’ve got about 2weeks til’ my girls (12 Nubian “Divas”) start to kid. I’ll content myself with a second run through Farm City, while sitting in the barn giving my girls moral support. Many of them like their “hoof” held as they get close to kidding. we have a complaint about you stealing metal out of an abandoned building across from your farm with a man known as Kilo. Can’t wait to hear about Kenya. I’m going to try and get my goats knocked up in March. I would love to get some timing advice from you (they don’t seem to be going into estrus on a regular cycle) when you get back. Have a great time in Africa! i think you may be in the air already- safe travels. Hope you have an excellent adventure. Wow, yet another adventure! Have you read this article about Agri-Imperialism in Africa? It’s pretty freaky. Basically, countries with money but without land are buying up huge swaths of African soil to grow their food. Many African countries have the land, but not the resources. No one knows how it’s going to shake out – if the citizens will benefit or if they will simply be deprived of the natural resources of their own land. Very complex. Kenya just made a deal to lease nearly 100,000 acres to the Qatari government in return for financing a new port. I’m curious to see how the Chef whom you’re writing about factors into this system. Anyway, I look forward to your take! Oh wow, how fantastic!! I spent a year in Kenya…Nairobi and Mombasa back in the early 80’s. They are incredibly kind and beautiful people and I’m sure it will change your life. ooops, that karismar is me…anyway, have an incredible journey and I look forward to a few pictures when you return. have an amazing time! i visited east africa a few years ago and loved it. and i just saw your pic/words in GOOD magazine- winter 2010, pages 98-99. wonderful! Have a safe, wonderful trip! Can’t wait to hear about the local foods front in Kenya! I’m reading Farm City right now and really enjoying it. I’m working up to producing my own food, back here in Seattle. I wanted to let you know that I’ve linked this blog to mine and that I really enjoy your work! I hope you have an amazing time during your travels.